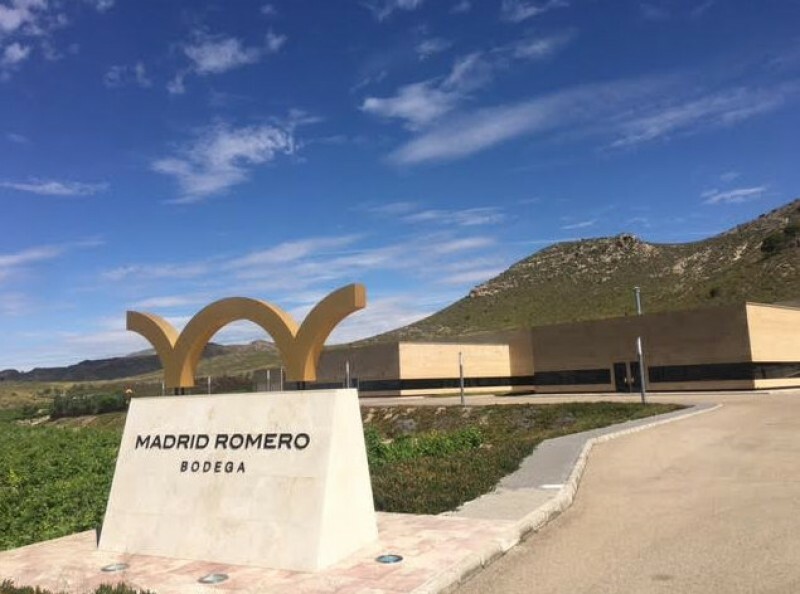 Bodega Madrid Romero is the winery set up and managed in the picturesque Carche valley, just a few kilometres from the town of Jumilla, by Rosana Madrid Romero in her pursuit of high quality wines under the Denomination of Origin of Jumilla label. 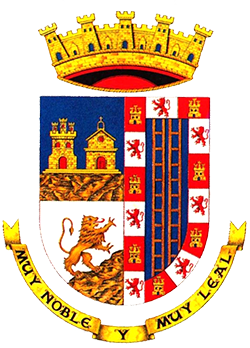 On undertaking the venture Rosana adopted the motto “Tesón, esfuerzo y espíritu emprendedor” (determination, effort and enterprise) as her recipe for success, following the example set by her father, Mariano Madrid, who spent most of his working life developing a successful pepper growing business. Despite initially pursuing a career in journalism wine has always been one of her passions, or as she puts it “the world of wine but starting at the roots. Right from the start she has been absolutely committed to achieving the highest possible quality in her output, demanding only the very best from her vines, her grapes, her pickers, the entire production process and the presentation. She has been able to count on considerable support from her father, who helped her in the search for the finest vineyards in Jumilla and eventually supervised the first picking and the production of the first young wines in 2017. The 17 hectares of vineyards allow a production of around 30,000 bottles per year, and production methods are almost entirely manual. 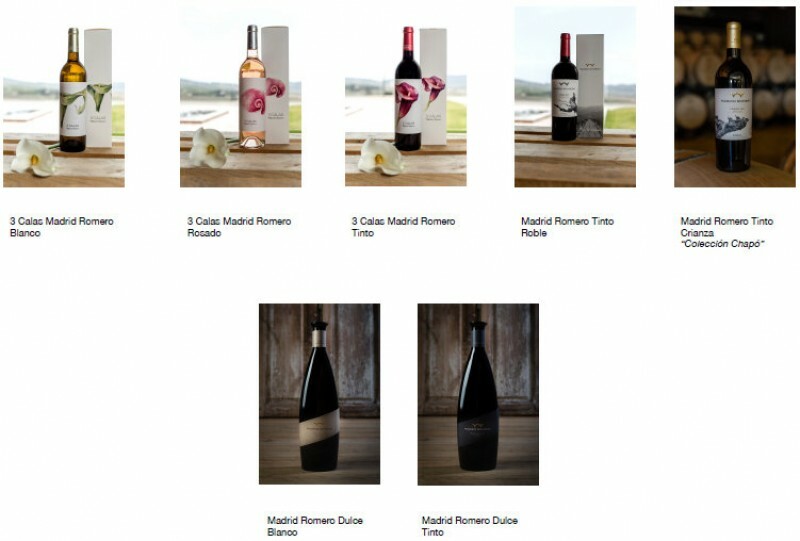 3 Calas Madrid Romero: a group of three products including an elegant white wine produced from Sauvignon blanc and Macabeo grapes, intended as a homage to Mercedes Romero, the mother of the woman behind the Bodega, Rosana Madrid Romero. Also included is a delicate, feminine Garnacha-Monastrell rosé, dedicated to Martina Madrid (Rosana Madrid's daughter). The "cala" is the Spanish name for the Calla lily, or arum lily, a flower which represents the qualities of elegance, beauty and simplicity, and the trio is completed by the Monastrell and Syrah red which is produced under the "3 Calas" label. Madrid Romero Roble Tinto: this fruity “media crianza” red is matured in French oak barrels and is created using the typical Monastrell grapes of Jumilla. Madrid Romero Tinto Crianza Colección Chapó: another Monastrell red, this time matured for 18 months in French oak barrels, characterized by its harmonious and elegant structure. The name of "chapó" is another homage to Rosana Madrid's father, and is taken from the exclamation made in Spanish (and the French "chapeau!" to applaud something which is well done: "hats off!" might be an appropriate English translation, and Mariano Madrid has always expressed the hope that he will be able to look back on his life and congtratulate himself in this way! 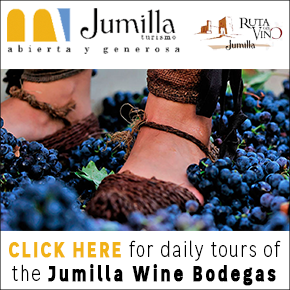 Liqueur wines: Bodega Madrid Romero also produces two sweet liqueur wines, one red and one white, which are perfect to accompany aperitifs of all kinds. In her effort to stimulate all five senses, Rosana Madrid has incorporated the labels on the bottles of Madrid Romero products, which are made to be touched and sensed, and on a similar note the corks are all entirely natural in order to heighten the olfactory experience. Visits to the winery include a tasting on the balcony, with views out over the vineyards, and a tour of the high-technology equipment as well as explanations of how it is used to produce the quality Denomination of Origin wines. There is also a visit to the barrel storage area and a chance to sample the haute cuisine in the restaurant area, and of course the wines produced at the bodega can be puchased in the onsite store (along with pollen and honey). 1. The first option consists of a guided tour of the winery and the vineyards - great importance is placed, once again, on the idea of "wine but right from the roots" - followed by tastings of 3 Calas Madrid Romero Blanco, 3 Calas Madrid Romero Rosado and 3 Calas Madrid Romero Tinto, the three young wines produced here. An aperitif and glasses of sweet Monastrell and Moscatel wine are also included in the price of 12 euros per head. 2. An upgrade includes a tasting of the Madrid Romero Tinto Roble product, and is priced at 15 euros per head. 3. 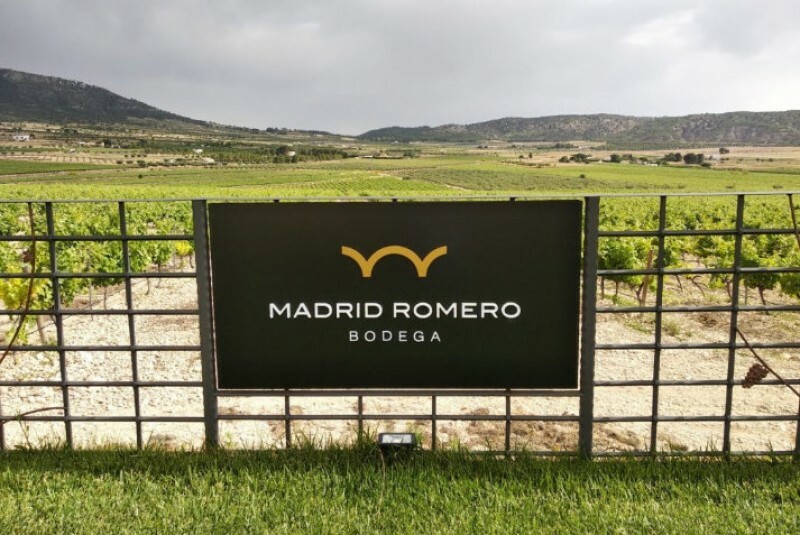 The full tour, priced at 20 euros per head, includes tastings of all of the wines currently produced at Madrid Romero: 3 Calas Madrid Romero Blanco, 3 Calas Madrid Romero Rosado, Madrid Romero Tinto Roble and Madrid Romero Tinto Colección Chapó Crianza. The sweet wines and aperitif are also included. Note: the visits can be conducted in English if required. (It is also possible to request a tasting of any one wine at a cost of 4 euros: if you decide to buy the bottle which is opened for you, that amount is deducted from the purchase price). All tours last approximately an hour, and visits can be arranged on weekdays between 10.00 and 18.00 and on Saturdays from 10.00 to 14.00, with Sunday and public holiday tours also occasionally available. During July and August the timetables alter slightly, with tours available between 9.00 and 17.00 from Monday to Saturday, and in the second half of August the service is not available after 15.00. No maximum or minimum group size is specified. The option of gourmet dining in the “Bodega Gastronómica” is also open to all visitors, with specialities ranging from local favourites to international cuisine. On one side of the dining area is the barrel store and on the other are panoramic views out over the Valle del Carche and the vineyards, providing a perfect environment for a relaxed and satisfying gastronomic experience. Menus can be tailored to the preferences or dietary requirements of guests, and are prepared on site by renowned gourmet chefs. 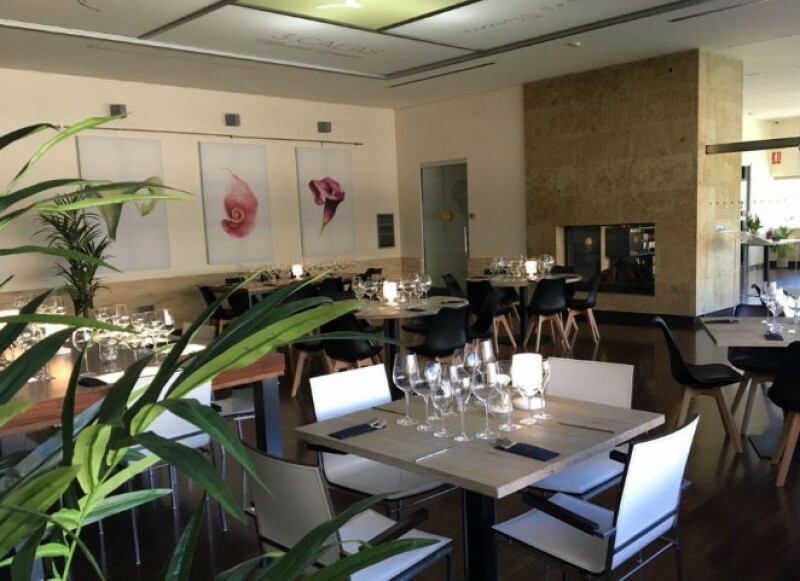 Prices vary but are typically around 50 euros per head, and meals can be pre-booked for groups of as few as two people, although the facilities are designed to cater for far larger functions, celebrations and other special events. The facilties at Bodega Madrid Romero also include a barbecue area, which can be hired, and a small children's play area.